Odaiko Sonora is Tucson’s taiko, or Japanese ensemble drumming group. Serving southern AZ since May 2002, Odaiko Sonora is dedicated to increasing familiarity with and understanding of taiko in our community. We do this for over 100,000 people each year through classes and master workshops, performances, school residencies, team building workshops and by producing concerts that include internationally acclaimed taiko artists. 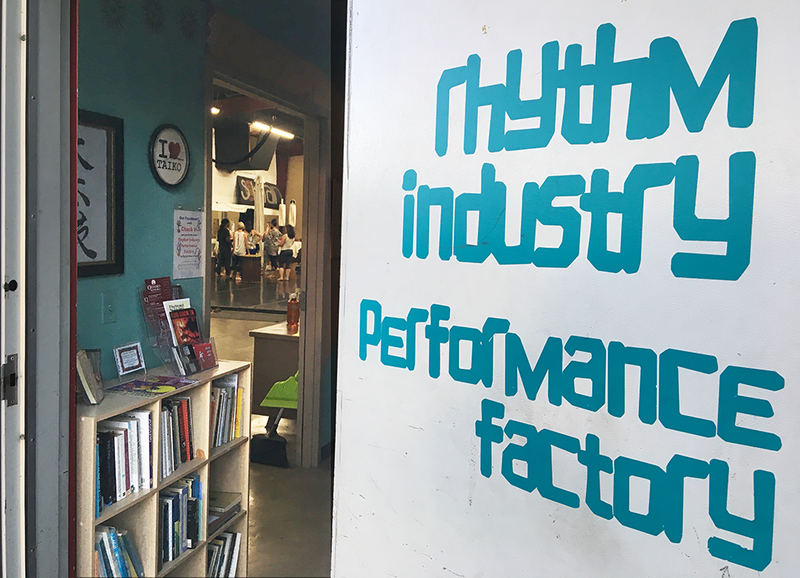 Most of our classes and practice sessions are held at Rhythm Industry Performance Factory (aka RiPFactory) space. 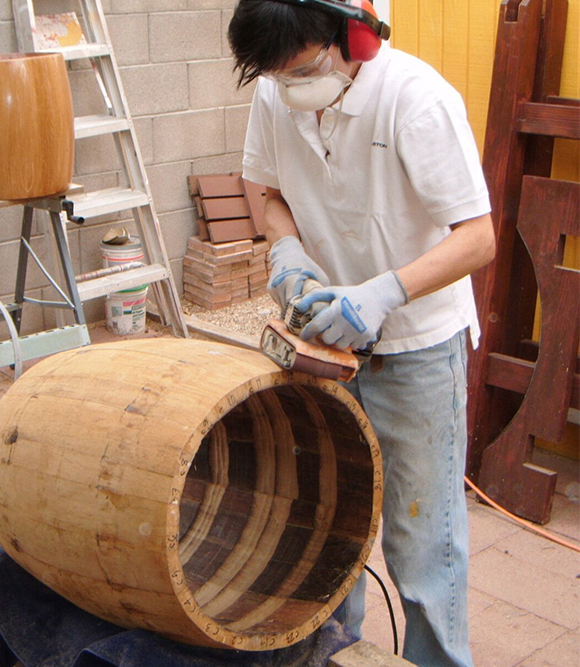 Though Odaiko Sonora handles the bulk of administrative and financial burden, the RIPFactory operates as a collective. All of the groups pitch in to keep the place open, whether that means fixing the coolers, rigging lights, cleaning the bathrooms or buying water filters. And all of the groups enjoy perks for those investments of time and energy, whether that means being able to store a roomful of drums at no cost or having premium access to the 1500 square feet dance floor. Odaiko Sonora is a 501(c)3 arts education agency supported in part by your tax dollars, granted through Arizona Commission on the Arts (with funding from the State of Arizona and the National Endowment for the Arts) and the Arts Foundation for Tucson and Southern Arizona (with funding from the City of Tucson and Pima County). Partial funding also comes from individiuals and corporations through Friends of Odaiko Sonora. Thank you for making us possible! Odaiko Sonora has one full time Director, a part time Assistant Director, and many volunteers, including a Board of Directors, costume designers/fabricators, drum builders, gig coordinators, merchandise handlers, numerous organizers and cooks and equipment haulers, and, of course, the students and players. Student dues go towards studio expenses, maintaining the equipment, and some travel and hospitality costs for performances and master classes. 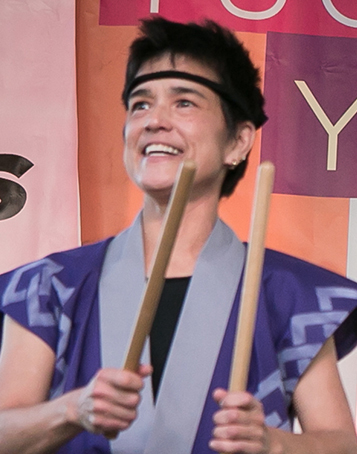 Known in school programs as “Lee sensei,” Karen is co-founder and Director of Odaiko Sonora. She has studied with Tiffany Tamaribuchi, San Jose Taiko, and Shidara, and is a member of Tamaribuchi’s Jodaiko and North American Kasuga Onigumi. She is our lead taiko-builder. A 33-year veteran of nonprofit arts, Karen’s honors include a 2008 YWCA Woman on the Move award, 2009 Pan Asian Community Alliance Woman of the Year, the prestigious Arizona Arts Award (2009), a 2014 Tucson Pima Arts and Business “Lumie” and ACA Artist Research & Development Grant. Karen has a BS in architectural design from UVA and MFA in creative writing from U of AZ. Nicole received her Bachelor’s Degree in Dance Education from the University of Georgia in 2003. She moved to Tucson shortly after to perform with OTO Dance and other groups, including New Articulations Dance Theater and Thom Lewis Dance. In 2005, she began playing taiko through a collaboration with Odaiko Sonora and OTO Dance. 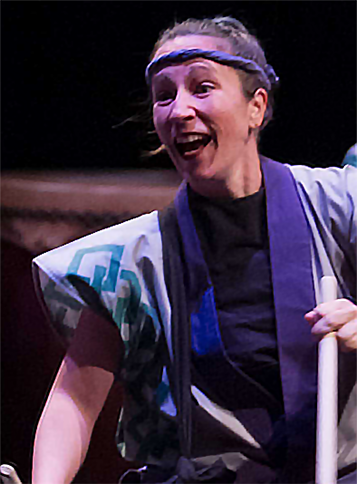 In addition to being a member of the Odaiko Sonora Performing Ensemble, Nicole is a member of Jodaiko and the North American Kasuga Onigumi, international taiko ensemble led by Tiffany Tamaribuchi. As a Teaching Artist in Tucson Unified School District’s Opening Minds Through the Arts program, Nicole brings dance and taiko to thousands of kids each year. 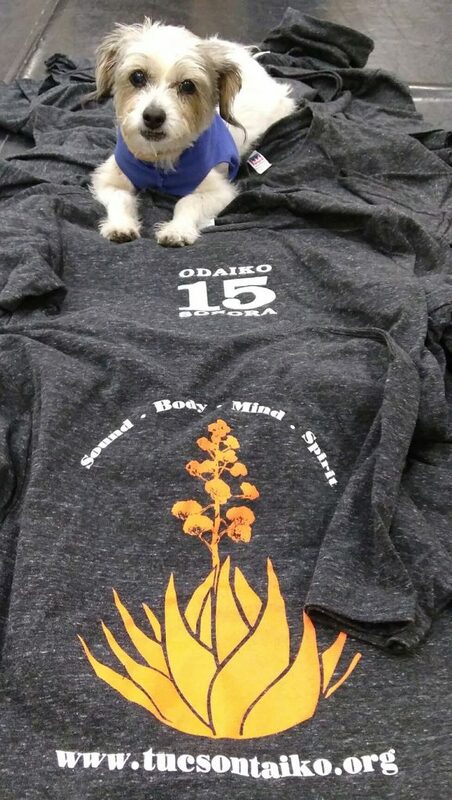 Bugsy (Odaiko Sonora Member Extraordinaire) lovin’ the tees.